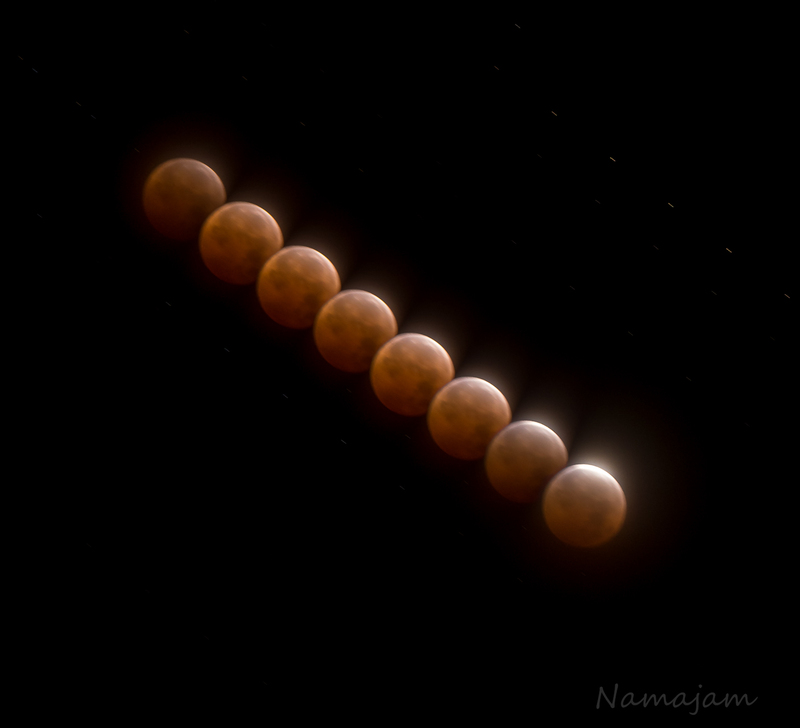 Blood Moon, Interval Composite (in camera) 2 min apart, 9 sec each. A little too long on the exposure…lessons learned. 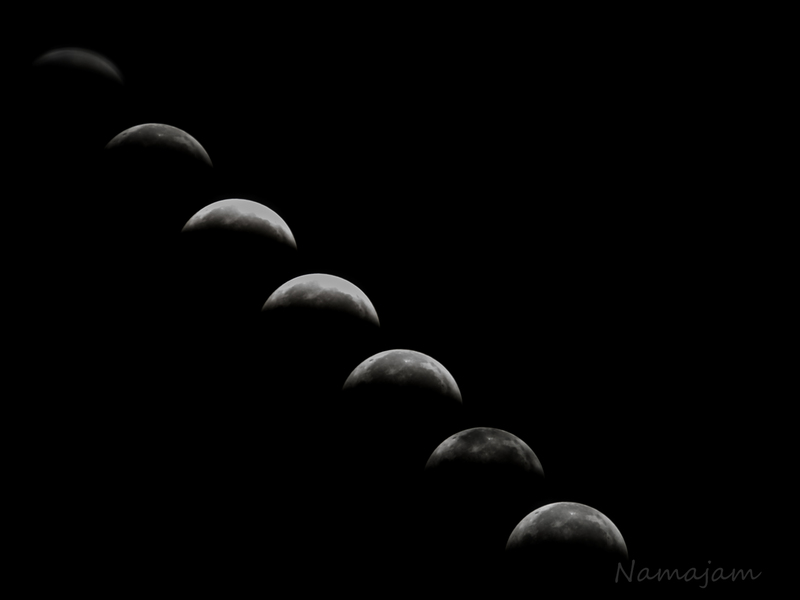 2 min apart, 1/4 sec each.